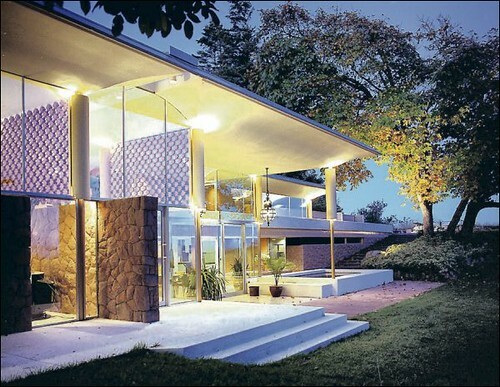 Erickson’s Filberg House, posted here on May 20, is actually for sale. A friend found it online by accident, while idly searching for midcentury modern houses outside Vancouver. (Above photo by MidCentArc on Flickr; below from realtor.ca.) It’s near Comox on Vancouver Island. I’m ambivalent about this era of Erickson, or maybe it’s this material; I prefer the Graham House, which has unfortunately been demolished, or one of his other cedar houses.